Lego® Serious Play® is a facilitation method rooted in play theory, constructionism and constructivism... Basically, humans learn best when we use our hands and tell stories! 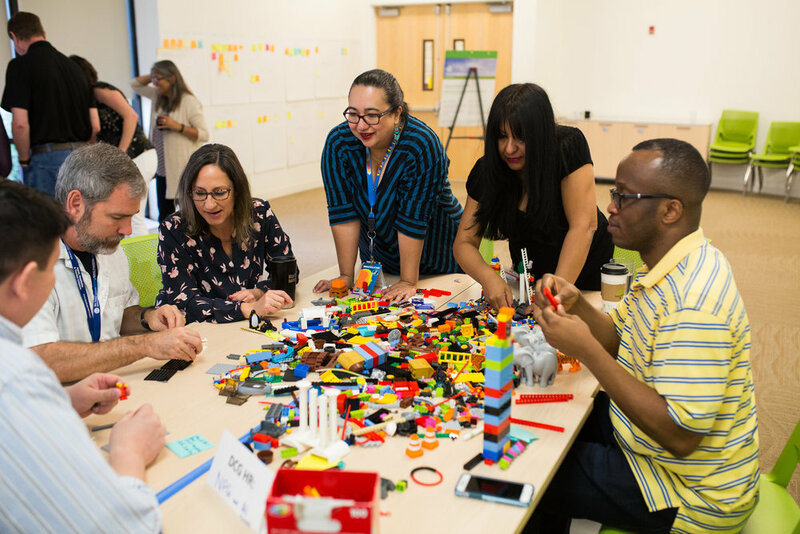 as a Certified Lego® Serious Play® facilitator, I lead groups through a series of exercises to guide them to wonderful and meaningful discovery. Each session is customized for the group, and can range from half a day to 3 days in length. So, when should you consider using Lego® Serious Play®? you want your session to be productive, memorable, and fun! Because each session is customized for your team's specific needs, the options are limitless. so contact me for a quote... and let's play our way to wonderful discovery together!